I have been mulling over this post for weeks now, trying to decide the most sensitive/ most honest / most God-glorifying way to tell y'all this. I've managed to work my way around in circles, ending up with a jumbled mess of things I want to say and no clue how to say it all. So I'll just say it. We're expecting. We're about 11 weeks along, due in late November. The 29th to be exact. I was shocked back in March to find two solid lines staring back at me from a test strip once again, but I am even more incredulous now to be nearly through the first trimester. Both of our previous pregnancies ended in very early miscarriages, the first one prompting us to adopt (thank God for that!) and the second sending us into a season of prayer. 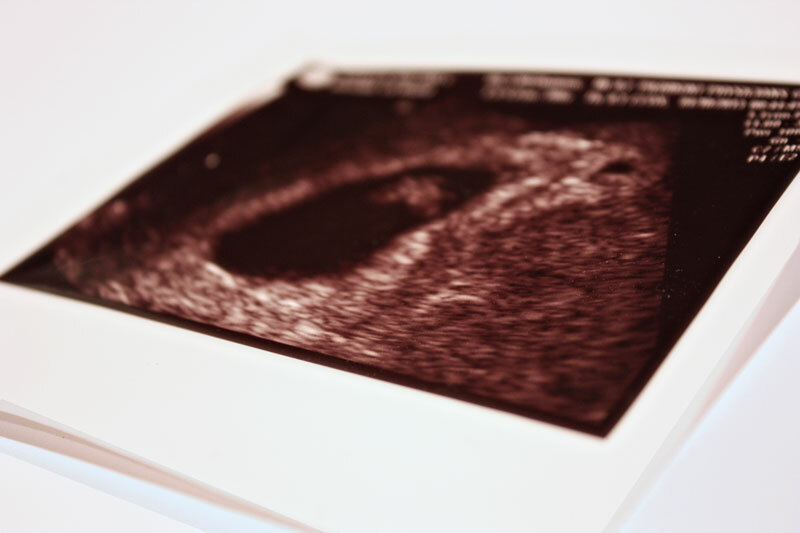 It showed us finally that we needed to stop praying for a healthy pregnancy, and instead begin to pray that God would work His will in our hearts and our lives. We prayed that we would be willing to give up our desire to experience pregnancy and the birth of a child, and that we would yield to His will. I know it seems obvious that we would pray for His will to be done instead of ours after all that He brought us through and after seeing His wonderful plan to bring Gus and Lula into our family, but it was still always a "one day" dream of ours. The second miscarriage showed us our blindness and our lack of faith in God's good plans. So we prayed. And we struggled. And we prayed some more. For months, we kept praying, but still the desire was there. And month after heart-wrenching month, we kept praying. And in our weakness and our struggle to trust, God was so gracious to us, and those two pink lines appeared. Our (very early) ultrasound showing a tiny little baby and a good strong heartbeat! I still don't know why He has chosen to bless us in this way, after blessing us so generously through our adoption experience. I do know -- am striving daily to trust -- that He is good, and loving, and merciful, and sovereign, and unchanging. That His thoughts are higher than my thoughts, and His ways higher than my ways, and His plans infinitely better than my plans. I am amazed by His perfect timing. I am humbled by His graciousness. I am thankful that we will be adding another sweet baby to our family soon!